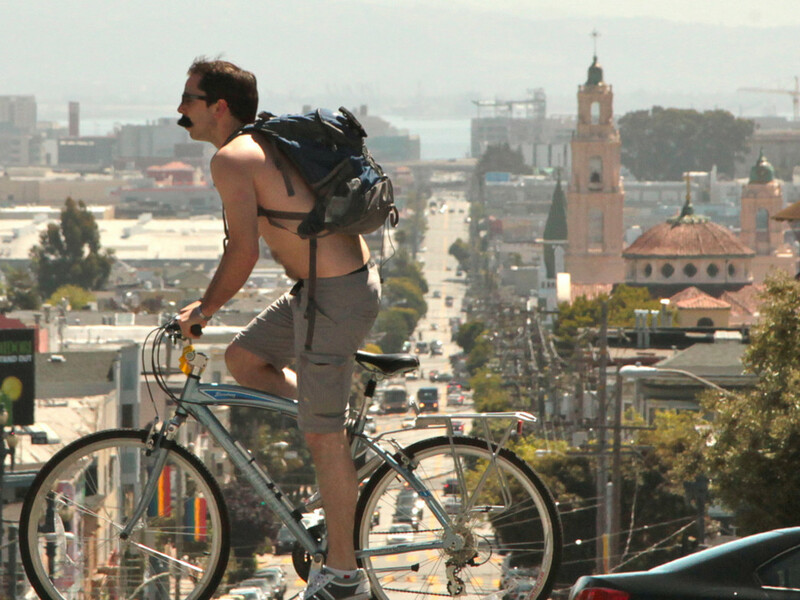 Hopping on a bike in San Francisco is an excellent way to experience the city, even if its famous hills can sometimes make riding rather difficult. According to the San Francisco Bicycle Coalition, an all-around awesome bike advocacy group, ridership has exploded since 2006, with a whopping increase of more than 96 percent. But many cyclists, including locals and longtime riders, but especially visitors and newbies, could use a few tips to make their two-wheeled excursions roll along a little smoother. 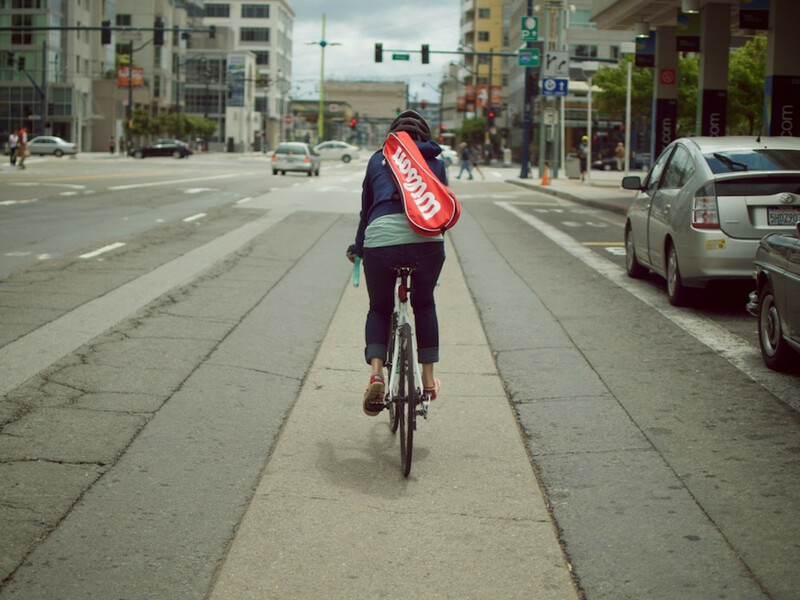 For some helpful insider tips, RootsRated spoke with Kristin Smith, SF Bicycle Coalition’s communications director, to help spread the good biking karma among San Fran cyclists, pedestrians, and motorists. While San Francisco has some great established routes for avoiding hills and traffic, like the Wiggle and the Embarcadero, the city’s bike lane infrastructure is still a work in progress. But when confronted with a steep incline or fast-moving traffic and no dedicated bike lane, simply heading over to the next block is often an easy solution. The SF Bicycle Coalition’s handy Bike Mapper, which lets you choose a route based on time or flatness is a helpful resource. Smith says intersections are one of the biggest problem areas for riders, as the mix of vehicles and bikes can quickly spell trouble. This is where “the number one misunderstood rule in terms of biking and riding happens,” according to Smith. The question is understanding how cyclists and motorists should handle a car turning right across a bike lane. “If a cyclist pounds on a car while riding or if a car is honking, it’s probably because people are not sure about what to do,” says Smith. For a quick primer on that process, check out this handy diagram from the SF Bike Coalition. Vehicles should signal and merge into the bike lane anywhere from 200 to 500 feet before the curb, not cross lanes to make the turn. Bikes, meanwhile, should exit the bike lane to pass the turning vehicle on the left, using signals. Locals love that visitors appreciate the City by the Bay and all its various delights. 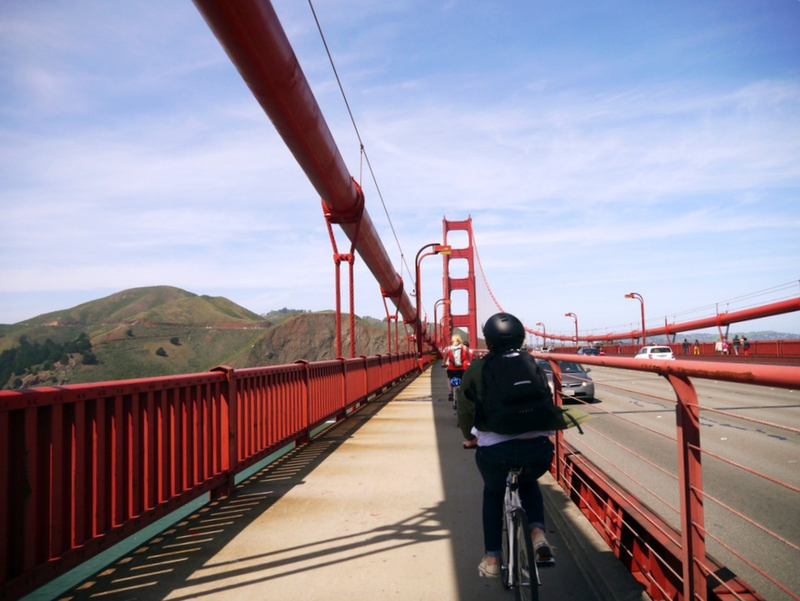 But local cyclists, many of whom are commuting or on serious training rides, don’t love the fact that tourists on two wheels are often guilty of stopping in the bike lanes to snap photos, especially around popular spots like the Golden Gate Bridge. Remember to pull aside and stay right if you’re on a sightseeing ride. A little-known fact among local cyclists is that you can call the San Francisco Municipal Transportation Agency at 311 about double-parking and other obstacles in bike lanes. The SFMTA also posts helpful transit info that can affect cyclists on its Twitter feed. With a little pre-ride planning and attention to basic riding rules, cycling in San Francisco can be one of the best ways to explore the city.